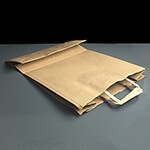 A range of handled paper carrier bags made from both brown kraft paper and white paper. 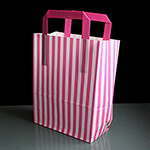 We now stock a small black twisted handle bag, ideal for small gifts, luxury end goods and jewellery. 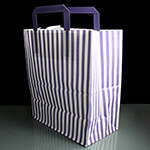 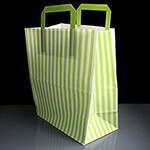 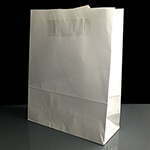 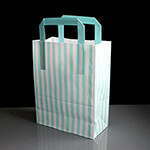 Our brown and white handled paper bags are great takeaway bags - the smaller bags will hold an individual lunch, the medium and large bags are ideal for takeaways and a great alternative to plasric bags. 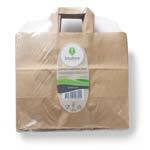 if you are keen to promote your green credentials, these bags may be just what you need as they can be recycled.